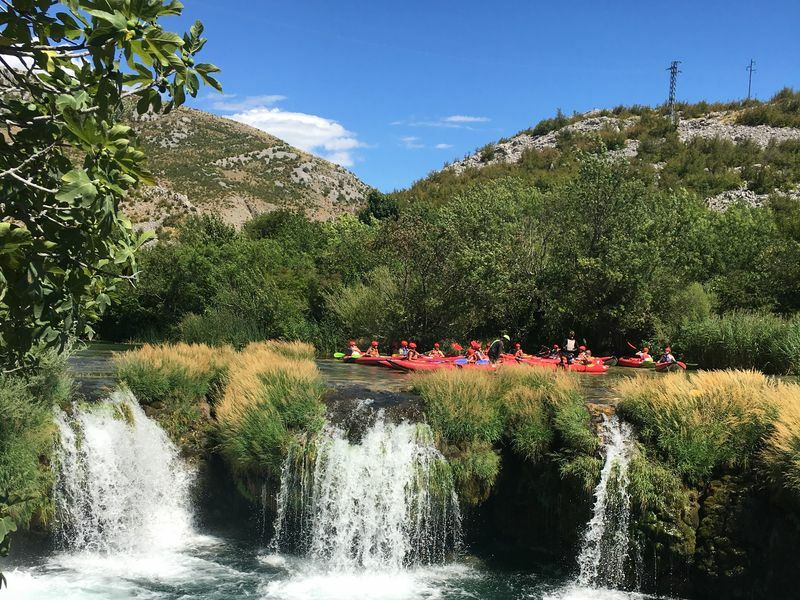 The River Zrmanja - Kuća Bajlo | Vegetarische B&B in Zadar, Kroatië! 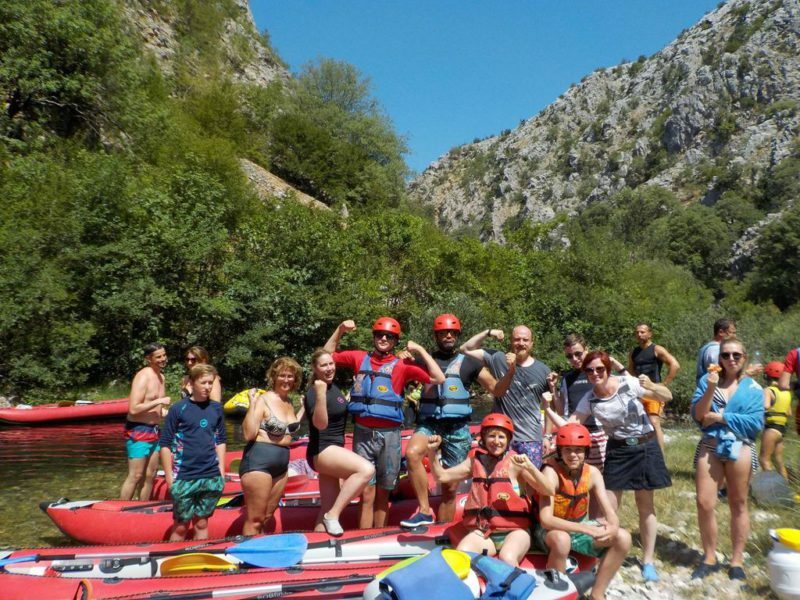 The karst River Zrmanja in the Velibit Mountains, is the ideal place for an active sportsday: rafting, kayaking or canoeing. 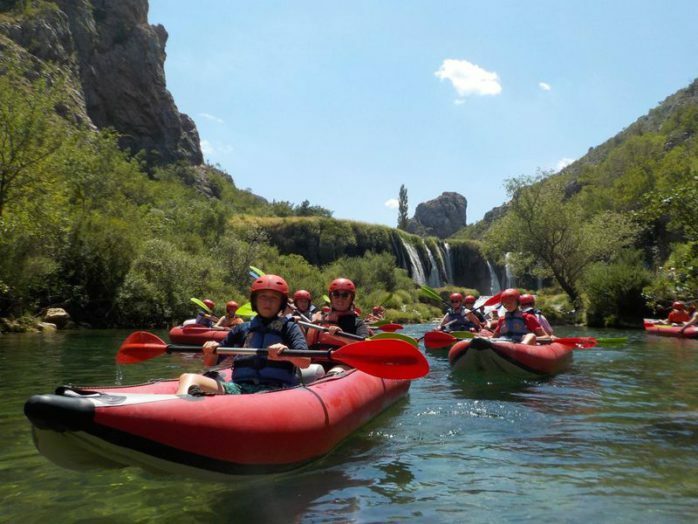 The River is with its tributary Krupa one of the most beautiful rivers in Europe. 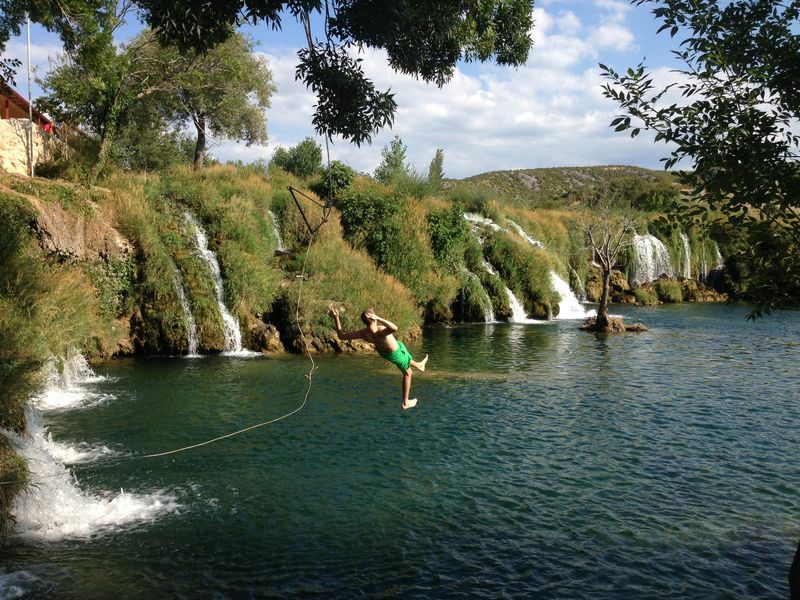 It’s the perfect place for watersports, thanks to the various big and small waterfalls. 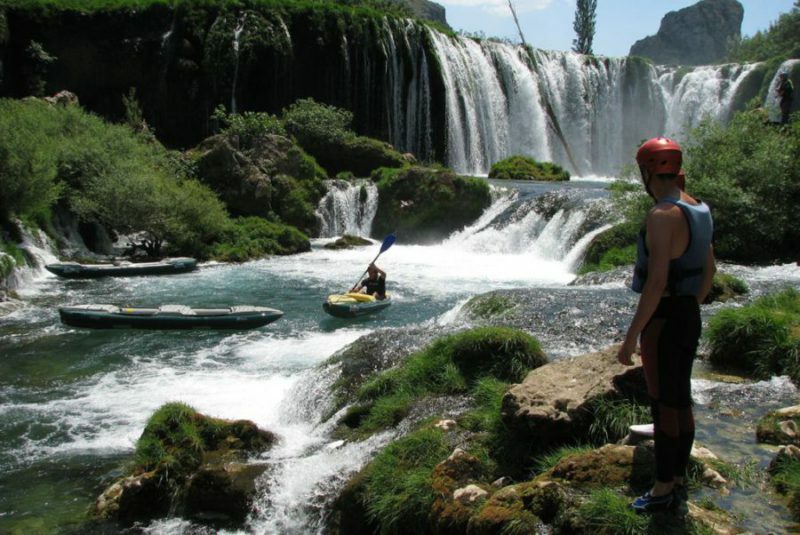 For rafting enthusiasts, the Zrmanja is “The Beauty and the Beast”. 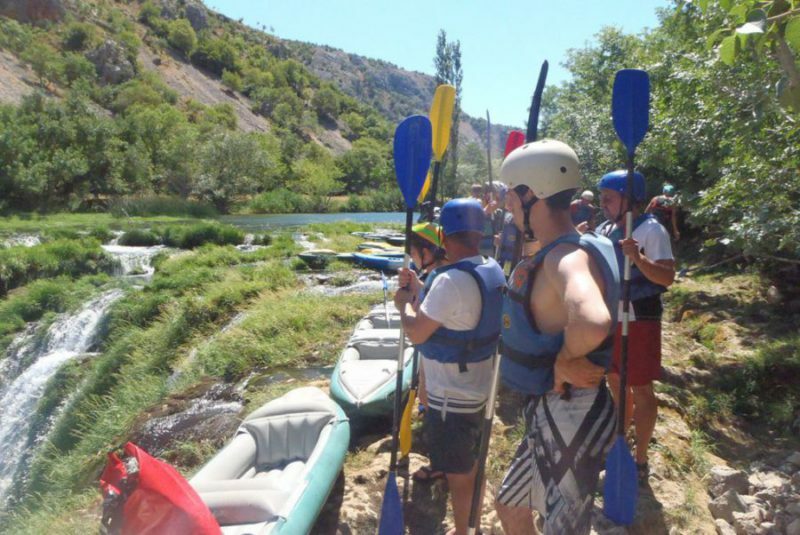 At high tide it is certainly one of the best rafting experiences in Europe. 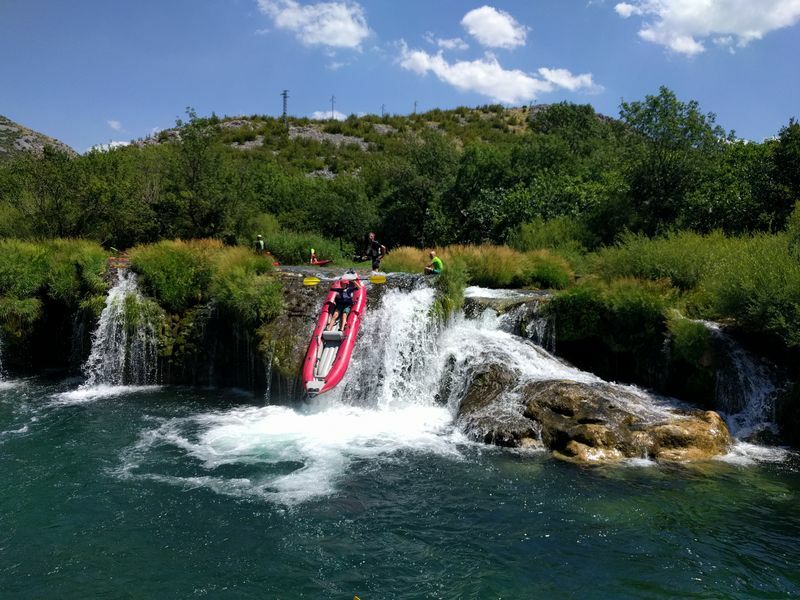 Escape with the whole family the hustle and bustle of the coast and drive to Kastel Zegarski , 60 km away from Zadar, where the trip starts. At the arrival sympathetic guides give you the necessary equipment. After a short security speech the trip can start. The descent takes about 4 hours, pause and time for swimming included. Paddling isn’t dangerous or difficult and is properly supervised. In summer the water is very clear and refreshing. A perfect adventure, even for beginners. The trip ends in Muskovica,the village where lunch is served. Here you can have a swim under the waterfall . 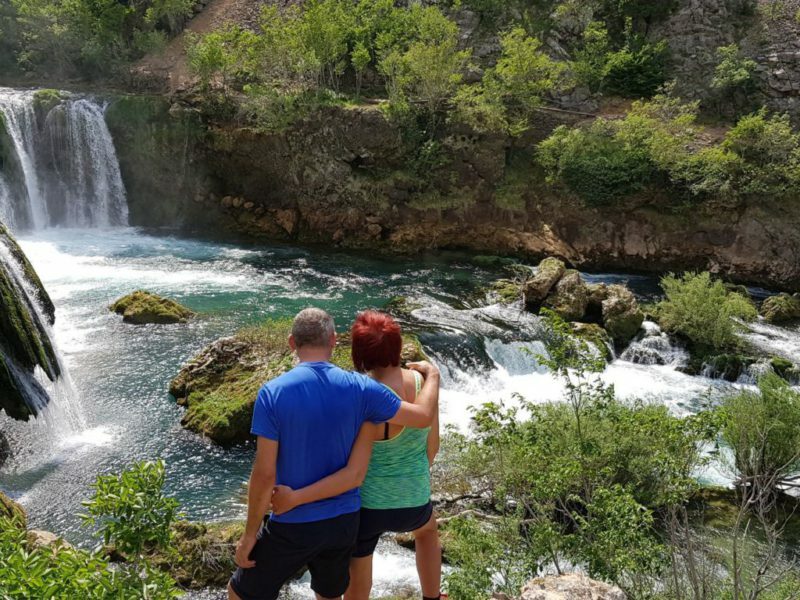 B&B Kuca Bajlo regularly organizes this trip for its guests.